3060 N Ridgecrest #156, Mesa, AZ.| MLS# 5853731 | Charlene Malaska, (602) 790-5464, Malaska Real Estate - Your Premier Real Estate Agent for Handling Las Sendas, Mountain Bridge, The Groves and Red Mountain Ranch. I also can help with your Real Estate needs in Mesa, Gilbert and Scottsdale! 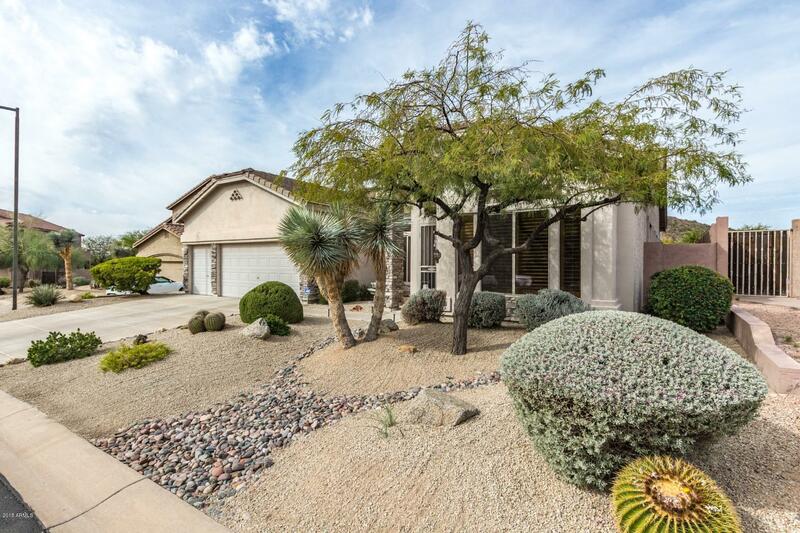 Don't miss this home located on the 3rd hole of the Las Sendas golf course with mountain views! Entry welcomes you into this home w/formal living & dining rooms & plantation shutters. Spacious family room has fireplace & views of the golf course/mountain & opens to kitchen w/granite counter tops, gas range, pantry & breakfast nook. Split Master has slider out to backyard & MORE views! Remodeled Master bath has oversize shower, double sinks & walk in closet. Den is convenient for office, workout or playroom. Secondary bedrooms & bath are private & perfect for guests. Backyard is great for entertaining with play pool, patio, grass & VIEWS of the golf course. All this with 2 car & golf cart garages on an oversize lot in highly sought after Las Sendas w/community pools, tennis & more!